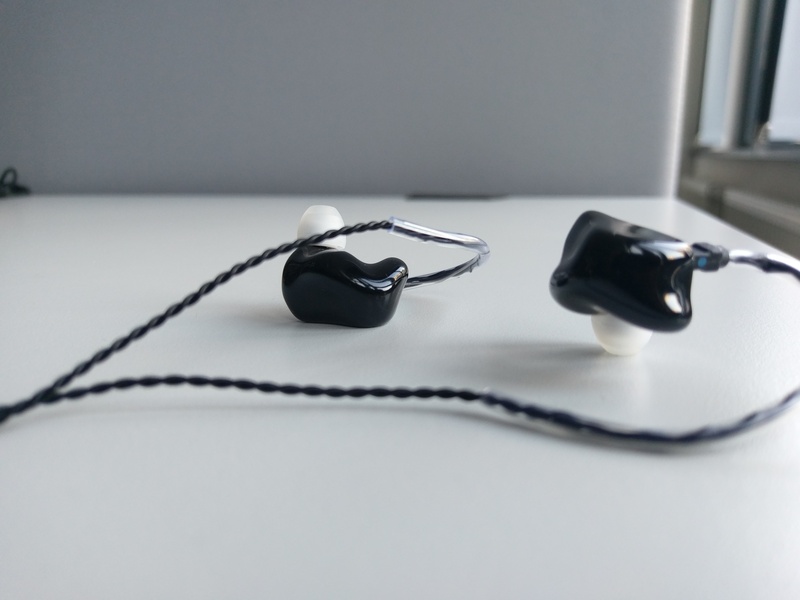 Hybrid Universal IEM with 1 Dynamic and 1 Balanced Armature driver. World's first dynamic driver with Myrinx diaphragm membrane. Top of the E series line-up. Dynamic Driver in Stainless steel housing with MMCX connectors. Pros - Incredible clarity, soundstage, positioning. Natural and organic tone, neutral. Cons - Fit-comfort could have been slightly better. 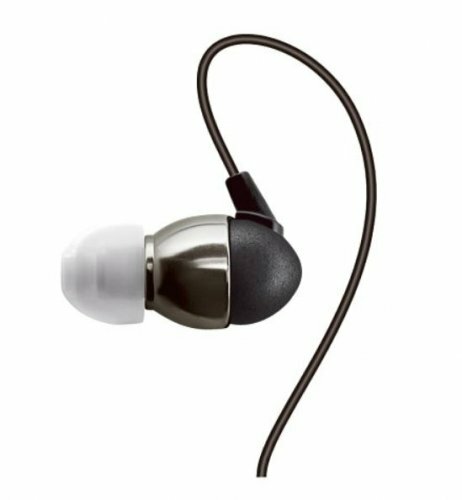 This is called simple man’s review because they are based on the sound of these earphones directly from my mobile phone (HTC 10), using 320 Kbps mp3 tracks. No expensive gears nor lossless tracks,no EQ, and all that hi-fi stuff. Shell: Acrylic – plastic-like, but hard and light. Simple and practical presentation. Nothing fancy, just what you need stored exactly where you want them. The case provided is large and spacious. A beast in terms of construction. Guess it’s the same one we get along with the other upper models from InEar. It’s not very portable, due to its size and weight. We do get a carabiner with the box that can be latched onto to your belt loops, for instance, to make portability possible. Tips. 4 sizes XS, S, M, L.
Cables: The cables are black (the earlier version had transparent cables which has the tendency to turn blue over time). Now, we get black wires. They are light, and of great quality. The housings, although made of acrylic, are really solid and light which make for really easy and comfortable use. I don’t see these breaking with normal use. The nozzles are armed with cerumen filters to protect dust or wax from entering its chambers. Etymotic ER4XR/SR uses these filters as well, and one can buy extra filters and easily replace them if needed. These are pretty cool. The nozzles are colour coded, even though one can’t possibly see them with the ear-tips on. One doesn’t really need this for over the ear type of housings, IMO. The cables are light and carry no touch noise from rubbing against fabric, etc. Let me reinstate that I have the regular sized model, the SD-2. I tried both of them in the stores in Germany and found that the SD2S is rather small for my ears and does not completely fill my ears. The SD2 fills them completely and isolate really well. You can check my inventory, if all these other earphones that I own, fits you without issues, then the regular SD2 is the one that should fit your ears. Cutting half a star here because these earphones, since they touch some parts of my ear that are usually left untouched, gave me some mild discomfort over long sessions initially. However, with more frequent use I feel they get more and more comfortable. They state an external noise reduction approx. 26 dB. It’s really good, and up there right next to the Etys. Leakage is also none whatsoever. Drivability – Very very easy to drive, with the high sensitivity of the drivers. With my HTC 10 I never went above 40% volume. You must know that i don’t listen to trance, or bassy stuff, no metal stuff, so, take my opinion about the extremes of the sound spectrum, and speed,etc., with a grain of salt, as they are just based on the kind of music I listen to- namely Jazz, blues, some progressive rock from the 70s/80s, plus some IDM these days. However, to give a fair review, i include some of my favourite Daft Punk, Justice, Tool, NIN, and some Pop songs among my test tracks. Preferred eartips: Stock. They are really the best, IMO, but some other tips come close as well. The general signature tends towards neutral, with primary focus on the entire mid range. They sound really rich, and organic. Really natural sounding, better than anything else I’ve heard so far. Soundstage is simply incredible. They are very wide and show incredible depth. Layering is apparent and precise as well. Top! Bass is very linear and have absolutely no emphasis on any part of the nether regions. They sound really natural and have an organic quality to them that sounds so real. Detail extraction is maximum due to the neutral curve. Sub bass is easily heard and provides precise rumble and impact. Mid bass behaves so well that it can stand as a class example in this respect. 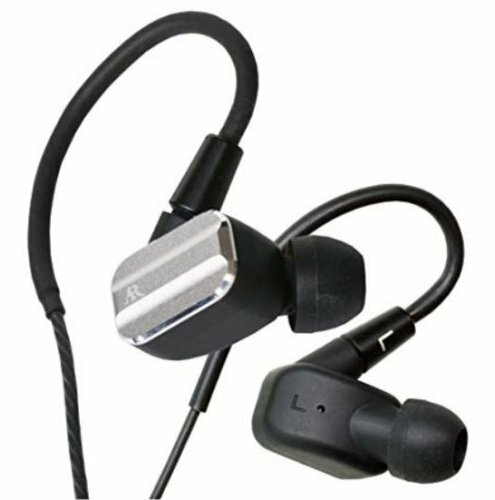 They have the speed of the BA drivers and the natural quality of the dynamic earphones. Dynamics might edge them out in impact, just off my mind, I think the IQ Pro’s linear bass has a more impactful bass presence. We can see more about this in direct comparisons. Even then, I miss nothing when I’m listening to SD2. Like I mentioned earlier, mids are the primary focus of these earphones. They are absolutely stunning. Natural, organic, and extremely detailed, all at the same time, it’s like a miracle. I really didn’t know this kind of quality was achievable. They are quite the revelation. Vocals are so precise and natural. The singers directly sing to you. Male and female alike. There is no other way to put it. Every instrument and note struck is served with authoritative presence and unmatchable clarity. Very musical earphones, one can buy them for sheer musical pleasure. Just a word, since they are mid-focussed it is suggested to keep them at decent hearing volume. Pushing them too much to get more bass, etc, would make the mids louder and vocals tend to get shouty. So, please don’t do that. In a word, these earphones deliver the best possible mids. Highs are presented just like the bass, honestly. They are very precise and linear to my ears. The clarity is incredible, they don’t lack anywhere. Every chime and cymbal hit conveys with every transient scratch of a sound that is there in the record. 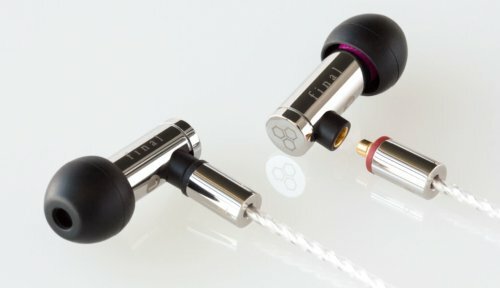 What I find interesting, and what makes these earphones so special for me, is their unique tuning of the highs. The highs, instead of going the splashy route with some extra emphasis after 2Khz, go for a very level and restrained curve. Instead of going higher towards the Harman target, they retract and strain to stay level. Amazingly, there is no impact in the detail retrieval and they still manage to deliver more details than the Etys. The result of this is, you hear the highs carry more weight and stay at their position, instead of flying away with an exciting splash over the soundstage. I love this sound, really. The instrument position and separation are especially stellar. They are the best I’ve heard, bar none. These earphones are perfect for monitoring, mixing for this feature. The soundstage accommodates for gratuitous privacy for the instruments to hold their own space. Straightaway, let’s see where it stands against the detail monster. The XR also delivers good bass impact, and provide a satisfying musical experience as well. Let’s get to it. SD2s are considerably easier to drive compared to the Etys. The sub bass of the Etys are perceivably more emphasized than the SD2., It rumbles quite a bit more and gets close to muddy, in comparison. The SD2 carries more warmth in the mids than the Etys. Soundstage is wider and deeper in SD2 – gives a more immersive experience. Etys are more narrower but precise nonetheless. As for the sheer amount of detail retrieval, I struggle to call a winner. The SD2’s make more details much more apparent in its impact and presentation. The details pop with the SD2 are fall nicely on your ears. The stage also greatly helps the SD2 in presenting more details convincingly to the user. The mids of Ety is slightly more forwarded compared to the SD2’s slightly warm vocal range. SD2s have that warmth which slightly muddies some details in the mids in comparison to the Etys. The Etys, however, show the same malady in its sub-bass with its extra emphasis there, losing out just a little bit there over the SD2s. Etys sound drier in comparison. It sounds more clinical, and the details come across as cluttered when compared to the roomy stage of the SD2. The ER4XR also comes across as the faster of the drivers when it comes to quick hits. The SD2s go for a more natural and organic beat which calls for a more grounded driver that lingers a little more to deliver on the timbral authenticity. In terms of musicality and even for monitoring purposes, for me, the 2 BAs of the SD2 take the crown when pitted against the renowned single BA of the Etymotic ER4XR. Two is a little too much this time for the Etys. Though, like I said, the SD2 gives in a point or two to the Etys in some specific areas. Well, being in Germany I had to pay 320 EUR for these including taxes. Anyway, the MD+ has more drivers, 3 BAs. Let’s see if the extra driver can throw extra punches at the SD2s. The MD+ has a sub and mid bass boost to give more impact and make a fun sound keeping the mids and highs of the Ety’s signature. Comparing the two, I could see that the MD+ is going for the fun sound. There is more apparent bass, and the bass-lines take the front stage and grab your attention. At the same time the MD+ manages to show its nicely pronounced mids. The highs are left a little wanting, but the majority of the details are there. The soundstage of the MD+ has some depth and width to it. The vocals really come up front and show themselves clearly. The vented BAs give us a very satisfying rumble. All said, the MD+ does not excite the audiophile in me. They sound alright, but that’s all I can say about them. They are very comfortable, slightly more than the SD2. They are highly detailed and the bass is good. What they lack is the micro-definition. The transient harmonics. They are not there. The fine details at the ringing edge of a note. That’s missing. The limited soundstage and depth struggles to accommodate all the fine artifacts of music. The boosted bass pervades throughout the soundstage muddying all these little details. Instrument separation and positioning is lacking. MD+ can be called the Jack of all trades, master of none. It’s not a bad thing per se. It just doesn’t help in this comparison with SD2, which is the master of basically everything. SD2 is much more refined and one can see directly that it is the more sophisticated than the MD+. Do I need say more ? Another triple BA, this time from Audio Technica. 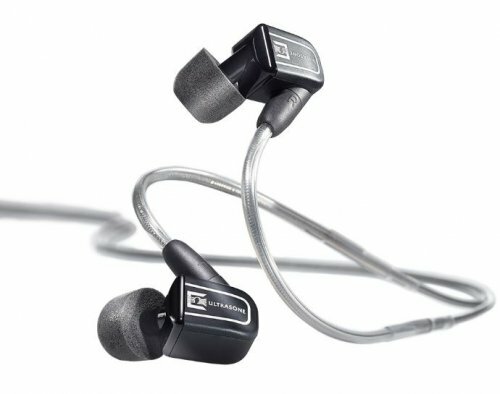 The E70s are aimed at monitoring users, has boosted bass and are extremely detailed. Let’s see how this goes. After this A-B one would easily say that they are pretty neck to neck when it comes to detail retrieval. The E70s generate a meatier sub-bass which is greater in quantity. The bass generally is the star of the show with the E70s. Those who know E70 know that they suffer from a rather harsh spike near 10K, which helps to bring a little more detailing to the forefront, which is albeit accompanied by a rather harsh sibilance. The screech sometimes, with some tracks, are so over-powering that it becomes close to unbearable. Finding the right tips are an absolute essential to live with the E70. Coming to the comparison, they both are tuned very differently. The SD2 is much more balanced and well behaved. The E70 just comes across as though it is on steroids. Similes aside, The E70 is more of a drummer’s friend. The drum-kit come across as the most dominating sound in the band. With the SD2 there is more magic to the mids, because of the well-behaved bass and highs. The highs of E70s are also quite shrill and thinner in comparison to the SD2s more organic notes/tone. E70 has a wider soundstage with less depth+height compared to the SD2, which comes across as more spacious, and that not because of its great width, but due to its great depth and usage of the stage. The SD2 sounds more real and musical compared to a relatively cold and more monitoresque delivery of the E70. I would say the SD2 is quite a bit ahead of the E70 and is the mature player of the two. Alright, this could be easy for the SD2, but I just want to see how this match goes. Costing as dear, CKR100 is my favourite double DD, and has a very very satisfying natural sound to it. Let’s get to it. Ok, I just did a bit of the good ol' back and forth. CKR100 is amazingly musical. In terms of sheer musical enjoyment I might give a slight edge to the CKR100 even though technically the SD2 is clearly superior. The dynamic bass is still something, and the quality of it can’t be beat by a BA especially when it’s done so well as in the CKR100. The soundstage of the CKR100, although slightly lesser in width and depth, is very well rounded. They seem like the perfect soundstage for enjoying music- as a whole. 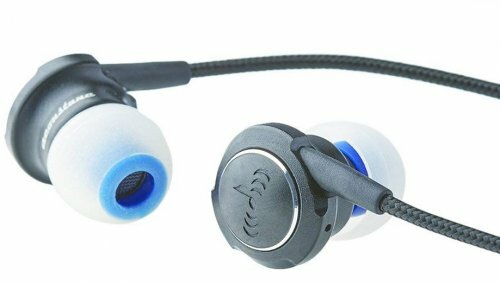 If you just want to immerse in music CKR100 would still be a good choice. Anyway, going back to SD2s, their soundstage is quite massive, and the depth is like a real room full. The superiority in instrument positioning is very apparent and precise. Separation is significantly better in comparison. You get more details in music. And the drivers, obviously, and faster that the DDs. It’s quite apparent. The SD2s strike the perfect balance between monitor quality and musical ability. It’s perfect, one can do both without sacrificing anything. The CKR100s might just provide a more cohesive musical experience. But that’s the one point, along with bass realism, where CKR100s will score against the SD2. The IQ Pros have a similar bass response, and the dynamic bass impact still is a little more satisfying that the BA punch. The IQ Pro dynamic drivers are a touch faster than the CKR100 drivers, but still fall slightly behind the BA hits of the SD2. The highs of the IQ Pro are more forwarded and they go for a more flashier presentations. The highs play generally higher with the IQ Pros. The soundstage width and depth are very close to each other. They are very good. IQ Pros also, like the SD2, can be used satisfactorily for musical appreciation as well as monitoring. Where the SD2 wins is with its greater micro-detail extraction, precise positioning, and greater instrument separation. There is more black spaces in the soundscape which makes all the details glowing with the SD2. Ultimately the IQ Pros have to bow down to SD2s superiority. Can the IQs save the day for Ultrasone? Let’s see. This is my most expensive earphone. If this doesn’t beat the SD2, then I doubt anything can. Okay, i’ve now had a bit of back and forth between these two. IQ actually comes significantly closer to the SD2 than the IQ Pro did with respect to detail retrieval, which is good seeing that IQ is 200 EUR dearer than the Pros. The bass impact is perfect with the IQ where the mid bass impact is slightly pushed up to have that extra bit of head banging effect. However, there is a noticeable nudge with the high frequencies as well which makes the highs a bit more splashy which also helps to add more detail to the sound. So, the IQ is better than the IQ Pro even in terms of detail. But, I must say they still fall short of the finesse and sheer clarity of the SD2s. IQs are more splashy in the highs and get a little teasy close to the sibilance range. The SD2 is also perceptibly ahead in terms of micro-definition and separation. They seem quite unbeatable, and for the price I think these are really no-brainers. 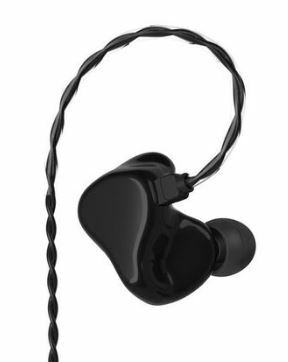 The Ultrasone flagship IEM, also, has to submit to the greatness that is InEar SD2. InEar SD-2 is the best set of earphones i’ve heard. After all my IEM experience I still felt positively dumbfounded by the clarity and natural timbre of these. The SD2 is extremely linear, musical, and organic in tone. I always thought musicality comes with a little sacrifice of micro-details. The SD2 just proved that I knew too little, still. Listening to the SD2 has been a revelation and a humbling experience. I’m proud to own this little gem. These are really cheap at the selling price to be honest. justrest, F700, hqssui and 1 other person like this.